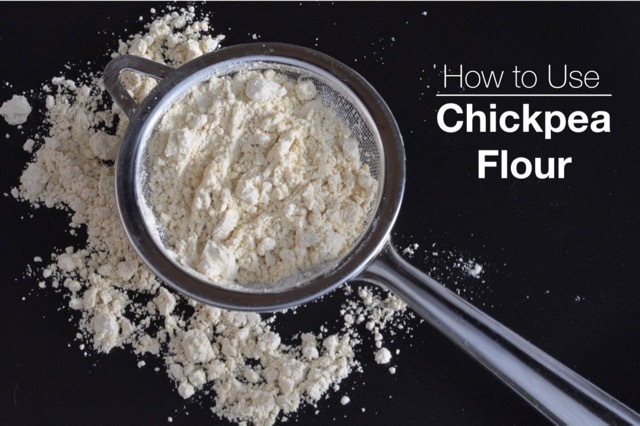 How To Use Chickpea Flour is #7 in my monthly blog post series on gluten free flour. Each post includes what I consider to be the best uses for that flour. You can see the full list at the bottom of this post. The idea is to learn to use the flours you like to make foods you enjoy. Depending on how you cook those choices will be different for every person. Putting some thought into that will help improve your results and likely your happiness in the kitchen. In previous posts I have covered what I consider to be the common flours and starches that people are likely to purchase when they first adventure into gluten free baking and cooking. There are many more to cover but this month I chose chickpea flour, probably not as common as some of the other flours. Chickpeas are a legume, the family that includes beans and peas, so chickpea flour is a bean flour. Lots of people learn right away that they do not like bean flour. Why? Because it taste like beans! In South Asia, especially the cuisines of Indian, Pakistani and Bangladesh, chickpea flour has been a staple for hundreds of years in many different ways. I love exploring the foods of different cultures and am interested in learning about the ways they traditionally use chickpea flour. When I bake desserts I don’t want them to taste like beans. For this reason I have only used chickpea flour in savoury recipes. But people are baking amazing food in home kitchens everywhere and some of them are choosing chickpea flour for baking. In your kitchen you get to decide what flours you want to use and what you make. I personally hadn’t used bean flour for baking sweets until I entered a cooking contest with this Double Chocolate Banana Bread recipe. Many celiacs want to increase the fibre in their diet making chickpea flour a good choice. This high fibre, chocolatey treat may just convince you to keep an open mind about using chickpea flour in baking. It certainly has for me. Not only are there many different pea and bean flours but even chickpea flour has several names. I just learned that Bengal gram and garbanzo are varieties of chickpeas. So when shopping at your local East Indian food shop, or online, you may see labels that say chickpea flour, gram flour, Bengal gram flour, garbanzo bean flour and simply besan. Not all chickpea flour is gluten free. At the time of writing these companies all have a gluten free label on their chickpea flour; Purest, Bob’s Red Mill, Anthony’s and Clic. Cooks use chickpea flour very creatively in recipes for everything from cookies to pancakes. Here is a small sample of the more traditional uses for chickpea flour that focus on its’ unique taste and properties. Falafel balls are traditionally made with chickpeas and chickpea flour. I love them but haven’t posted a recipe yet. For more than the everyday cook would ever need to know, I stumbled upon this excellent post by Neetu over at Simple Gluten Free Kitchen, titled Types of Chickpeas & Flours. Now I have lots of reading and recipe testing to do. I hope this might intrigue you. 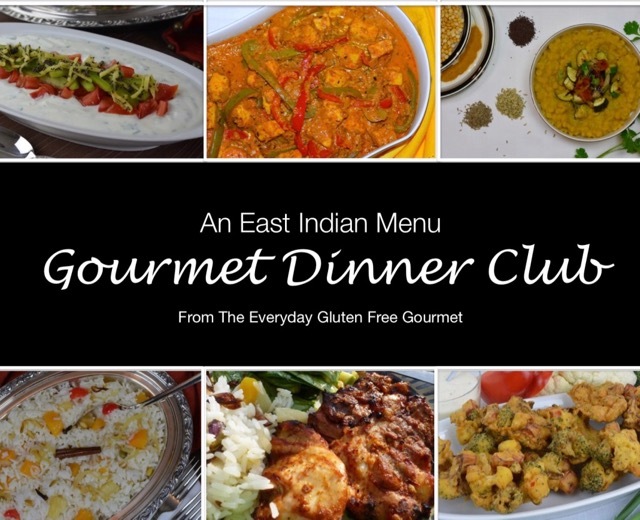 Perhaps you will get together with some friends and cook a Middle Eastern or East Indian feast to explore the flavours of these cuisines. Chickpea flour will surely be included. I’d love to hear if you have used chickpea flour before or if you tried it. Let me know in the comments below. This is the seventh in a series of blog posts on gluten free flours. My intention is to provide a basic overview of several gluten free flours for the everyday home cook, both new and experienced. Let me know in the comments below if you have a specific problem with your baking or a tip you’d like to share. Thanks for that tip River. I have never made a dessert with chickpea flour. I love pakora and have been making socca lately to try and perfect that recipe. Because of the high fibre content this is a good flour for people eating gluten free to try and use more of. Hi, I’ve had some success with chick pea flour by “roasting” it first in a dry frying pan, this tends to remove the unpleasant taste and is what they do when they use chick pea flour in indian deserts.